While Apple Pay has yet to expand to any markets outside of the United States, rumors have suggested international expansions could begin in the relatively near future. One of those possible markets is China, with the first iOS 8.3 beta seeded to developers last week building in Apple Pay support for China UnionPay. According to a new report from Caixin [via MarketWatch], however, talks have stalled as Chinese financial institutions remain wary of Apple Pay and Apple has yet to approach regulators about gaining approval for the service. "Apple is seeking to cooperate with Chinese financial institutions" including banks for the use of Apple Pay, a People's Bank of China (PBOC) official said. At the same time, the American company has not yet "acknowledged regulators" and as a result "it's unclear whether the product meets the government's requirements" for a commercial operation. Apple is also struggling with its relationship with UnionPay, China's state-owned credit and debit card system operator. 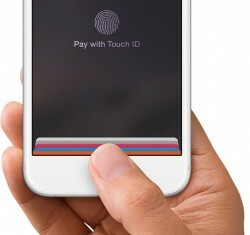 Sources close to the companies said that talks aimed at an agreement that would open China to Apple Pay have stalled. On the regulatory side, the NFC chips used in the iPhone are said to not fully comply with Chinese technical standards, while regulators are also insisting Apple open a data center in mainland China to manage customer information linked to Apple Pay in that country. On the institutional side, China UnionPay is reportedly wary of losing some of its grip on the mobile payments market, as the organization currently controls the only NFC payments system in use in China. UnionPay's control of the market has also thwarted Alibaba's Alipay unit, which has so far proven unwilling to pay fees demanded by UnionPay for tapping into the UnionPay payment network. China has been a major market for Apple in recent years, with Apple CEO Tim Cook highlighting the company's efforts to understand and address that market at a Goldman Sachs conference just last week. Those efforts have led to an explosion in revenue, moving from $1 billion to $38 billion over the last five years as Apple has expanded carrier partnerships, points of sale, and other relationships to establish a strong foothold in the rapidly growing market. China! The Communist government wants control over the people! They want to know their every move so thus control!! Absolutely amazing people still put up with this sh**!! That's not so different from what the NSA does, and yet people seem to put up with it. Apple pay is the beginning of the end of cash deals and avoiding sales tax. You actually believe it's the same ??? "...while regulators are also insisting Apple open a data center in mainland China to manage customer information linked to Apple Pay in that country." Those regulators will probably want access to that data center as well. Not going get into NASA stuff because it is not the same Aa total control of the people!, behavior and thoughts! Being in China were I can't watch you tube, or Google or have trouble getting my email???? Not the same as spying agencies! !